The team of friends from the Denver area also set the world record in the 800-meter Free Relay, winning the race and breaking the previous record by over thirteen seconds in a time of 8:56.62. Finally, the group won the 400-meter Free Relay with a time of 3:59.86, which destroyed the previous world record in their age group by almost eight seconds. Read what SwimSwam had to say about the Colorado champions. Mann gives Craig Petersen the credit for masterminding the world record swims. 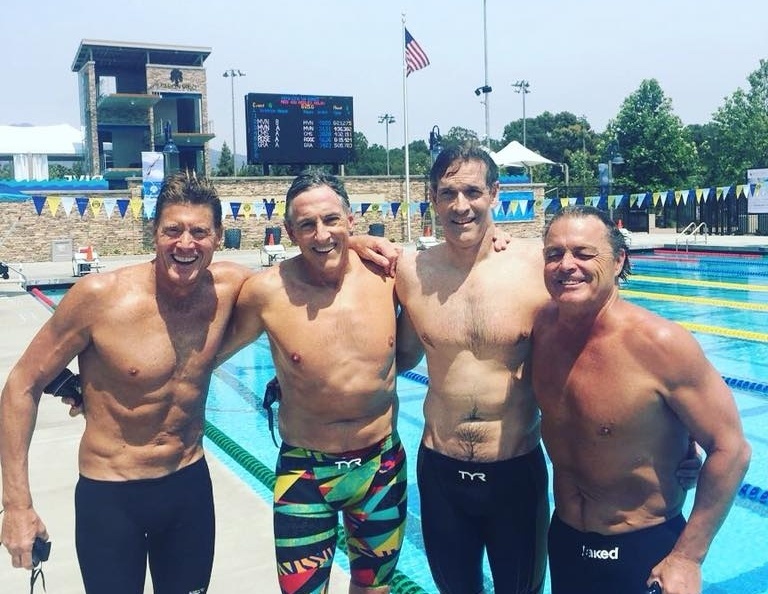 Early in 2018, Petersen analyzed the combined times of the four friends and realized they had potential world record swims in the three relays. He then noticed that Mann would turn 64 on August 1, allowing the four friends to swim with a combined age of 240 for a short window of time. Petersen and company had to find a long course championship meet that offered the 400 Medley, 400 Free and 800 Free relays after August 1. The Mission Viejo meet was chosen - and training begun - six months ago. Mann said that he hadn’t trained as much as he would have liked prior to the meet and felt “as nervous as a little kid” before the fly leg of the 400 Medley, despite his teammates having gone out faster than expected on the first two legs. When he saw his split (1:10.18), he was shocked. We wish you the best of luck, Michael!